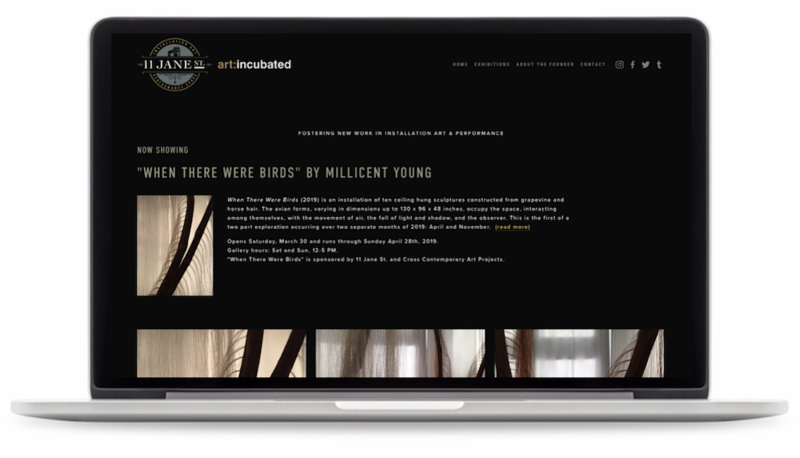 Echo Sixty6 was retained to collaborate and create the Brand Communication Platform for 11 Jane St., an artist-run creative arts organization and artist residence program with a focus on installation, performance and multimedia art. 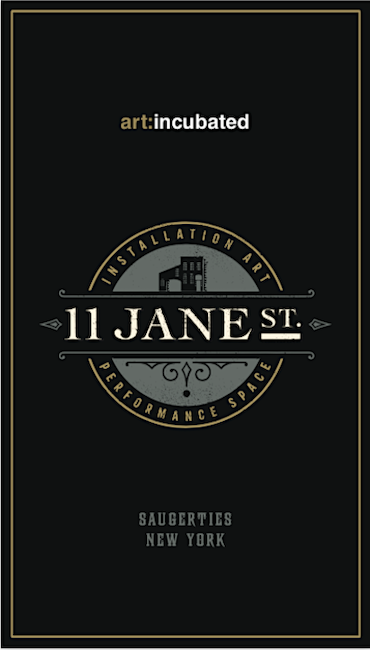 11 Jane St. offers mid-career national and international artists a premier venue to immerse themselves in their art, collaborate with other artists and the community, while providing the public unparalleled access to exceptional artists and their processes. The launch of 11 Jane St. features the work of Millicent Young, When There Were Birds (2019), an installation of ten ceiling hung sculptures constructed from grapevine and horse hair. The avian forms, varying in dimensions up to 130 x 96 x 48 inches, occupy the space, interacting among themselves, with the movement of air, the fall of light and shadow, and the observer. If you’re in Saugerties, New York be sure to stop by! Taking cues from the 19th century brick warehouse, our creative team developed a brand architecture and corporate identity that reflects hints of the building’s architectural details and history but with a modern twist.